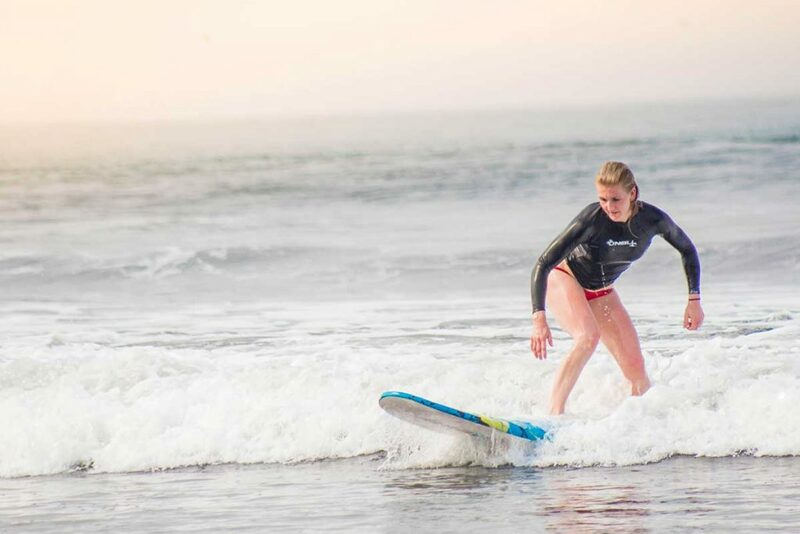 El Salvador Surfing lessons are a total blast. Our local team of instructors are not just experienced with teaching lessons to beginners, these guys are also competitive surfers that can help intermediate surfers hone their skills. 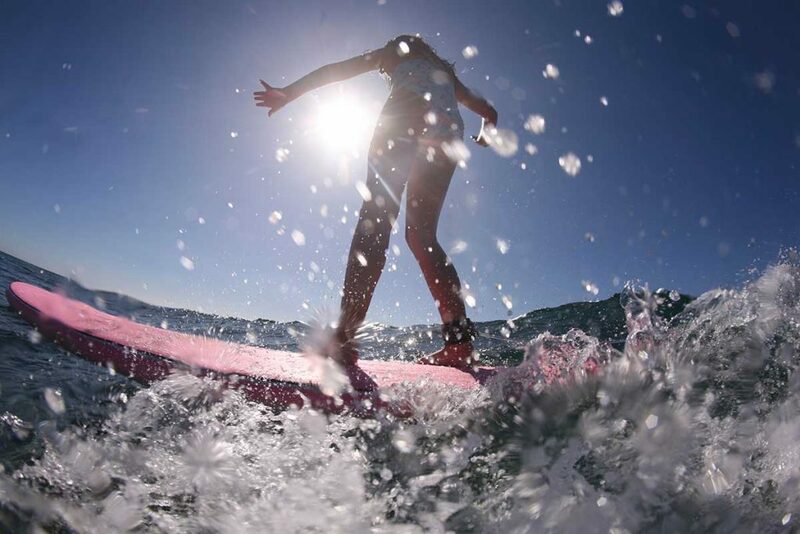 We have lessons available with the right equipment to get you surfing better and having fun!. 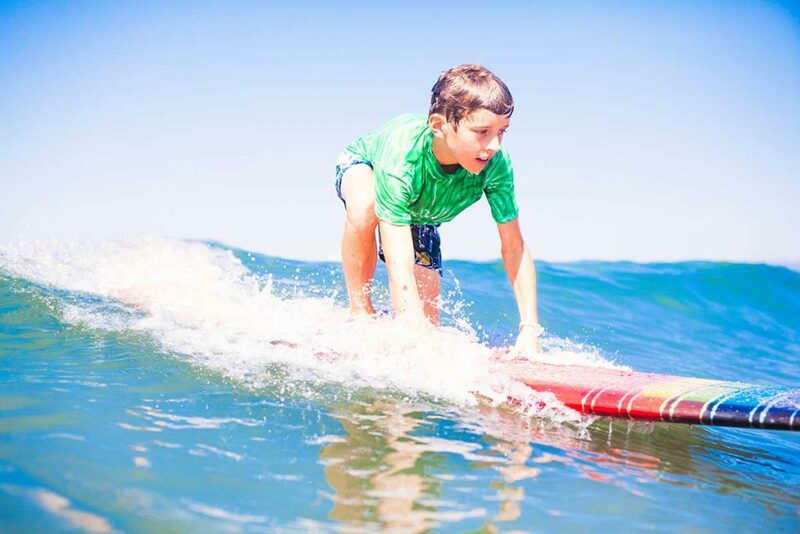 We’ll typically recommend a soft-top board for total beginners and also have a quiver of longboards and shortboards for anyone that wants to try out something more advanced. We offer individual one-on-one lessons or group lessons. For total beginners, we strongly recommend doing a few lessons at an uncrowded break nearby, where you’ll have all the space to yourselves to practice the basics and start riding waves. This option requires a vehicle shuttle which we can provide at an affordable price. 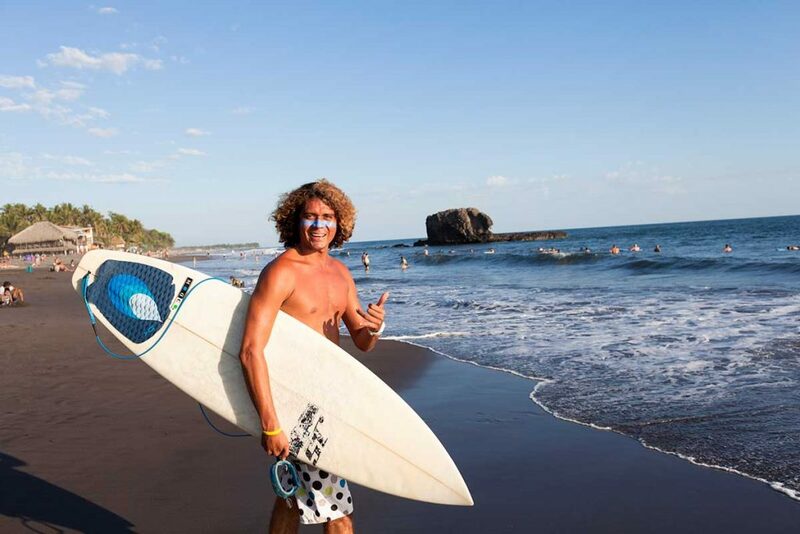 We’ll have fun and get you prepared to surf one of El Salvador’s famous point-breaks so you can show off your new surfing skills in style! The prices below include both the surfing lesson AND the board rental. You do not need to separately reserve a board for these lessons. All equipment and instructor fees included.